Khirbet Umm Deimnah is located at 518 m above sea level in a hilly area where the southern Hebron Hills and the northern Negev meet, c. 5 km southwest of Dahariya and c. 2.5 km south of Khirbet ‘Anab el-Kebir. Remains are found in two areas at the site. On the hilltop to the east are remains of a monastery, agricultural installations, and dwelling caves. To the west, at the bottom of the hill, is a rectangular building, constructed of ashlars and covering an area of less than 0.25 a., with a central courtyard surrounded by rooms. There are several cisterns within and around the site. 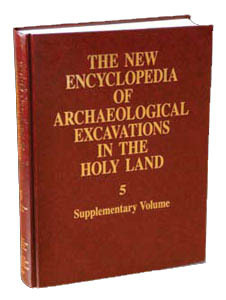 The site is first mentioned by the Palestine Exploration Fund survey in the late nineteenth century. W. M. F. Petrie found two stone lintels decorated with crosses during a visit to the site. In 1938, the site’s name appeared in the survey published by P. Abel, who suggested identifying it with the biblical Madmannah ( Jos. 15:31 ), which is mentioned in Eusebius’ Onomasticon. However, neither the findings from the two surveys nor the excavation support this identification. As part of a survey of Judea conducted following the Six-Day War, M. Kochavi examined remains on the hilltop, identifying them as a Roman villa. In 2004, the center of the site was excavated by Y. Magen and S. Batz on behalf of the Staff Officer for Archaeology in Judea and Samaria.